December 9, 2018 was an experience of a lifetime for Taste of Immokalee students! 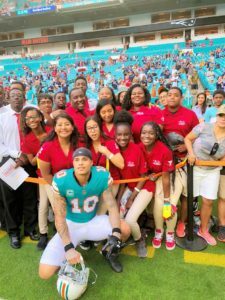 We are so grateful to Kenny Stills for inviting Taste of Immokalee to the Dolphins vs. Patriots game. And what a game it was when the Dolphins pulled off that exciting win thanks to Mr. Stills! 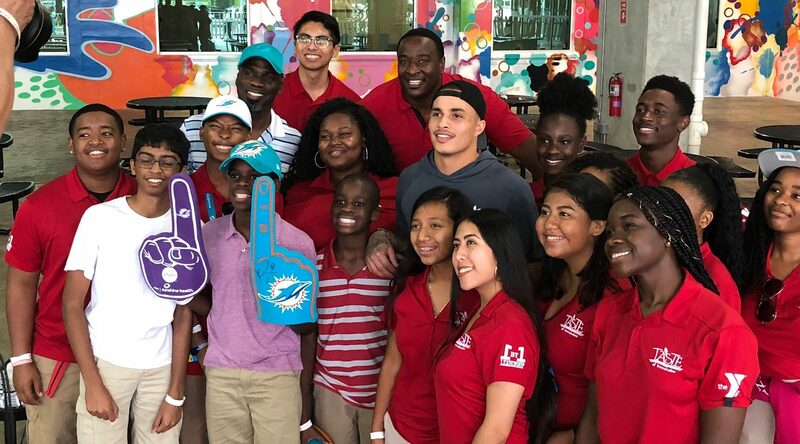 We first had the opportunity to meet Kenny Stills when he so graciously joined us at Blue Collar Miami event and learned about Taste of Immokalee. When we learned afterwards that he was inviting our group to return to Miami and attend a game as his VIP guests, we literally screamed for joy! Our tailgating, sideline view and post-game private session with Mr. Stills were all amazing. But even more impressive was his generosity that made this day possible and reinforced the importance of always giving back. He was a true example of the “Teamwork at Work” goal and his support and mentorship meant the world to us. And here’s what’s being called the “miracle” play, with our supporter Kenny Stills #10 at the center of it all!